It's never too early to stock up on Christmas gift items! Last week, we turned the spotlight on the items that make great Christmas presents for women. It's the men's turn this week, as we picked out five products that would make great gifts for them these holidays. And we won't keep you waiting, here are five items worth adding to your holiday inventory. The Folding Storage Chest Bench is an ottoman with so many uses any man of the house would love. It can store virtually anything you like -- from shoes, books, gloves, tools, and even small items like keys. It features six removable drawers that easily slides in and out. 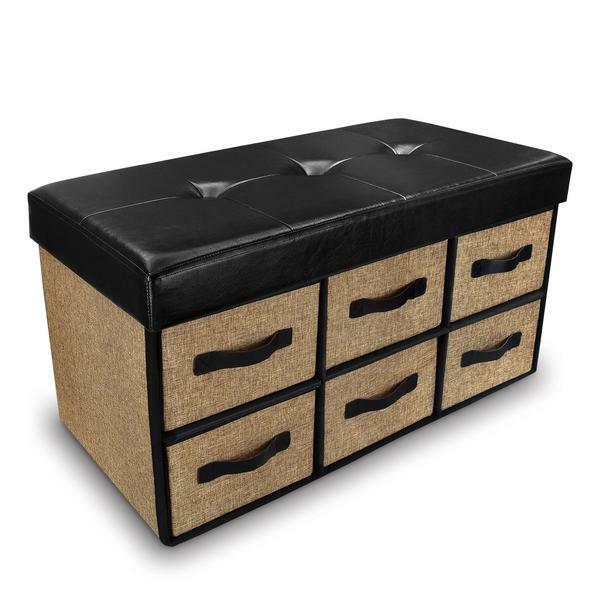 The ottoman is wrapped in stylish black leatherette with three-button tufting for a classy look. It can also be folded and collapsed for easy storage. This storage bench can even be sat on while putting on or removing shoes! The Leatherette Watch Storage Box with Lock is the ideal present for men who have a watch collection. 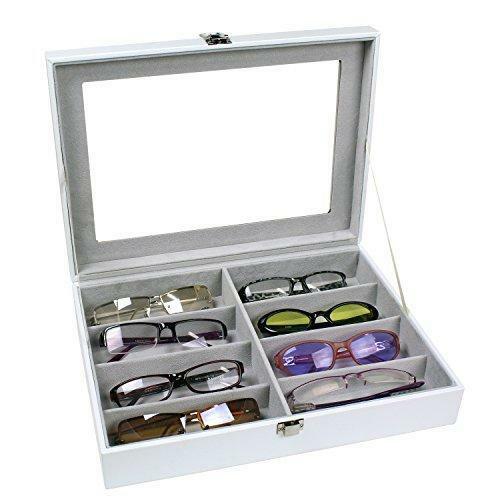 You can organize and display your collection in this classy two-toned leatherette case. This wooden box features gold-plated embellishments and comes with a gold-plated lock and key. It can hold 12 watches as it has 12 removable beige suede cushions. You can get this in three colors -- navy blue, brown, and gray. The Leatherette Eyewear Case For 8 Frames Sunglasses is perfect for guys who have a collection of eye and sunglasses. 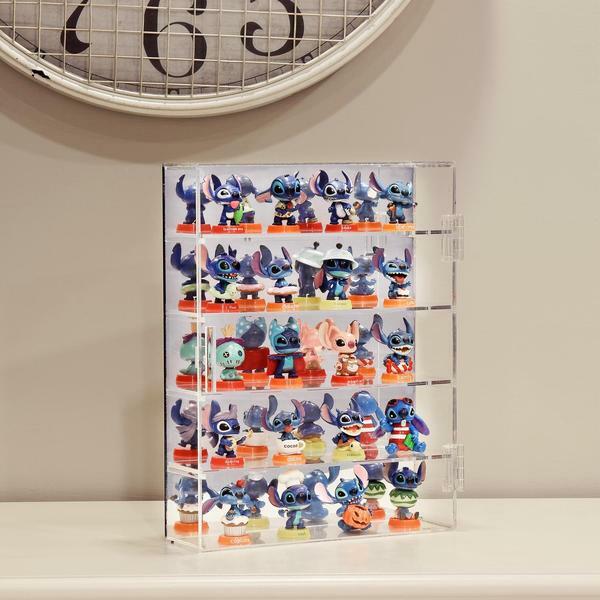 It can hold eight frames and can keep them organized and safe from dust and scratches. The glass top allows you to showcase your collection and get to pick which pair to wear before opening the case. 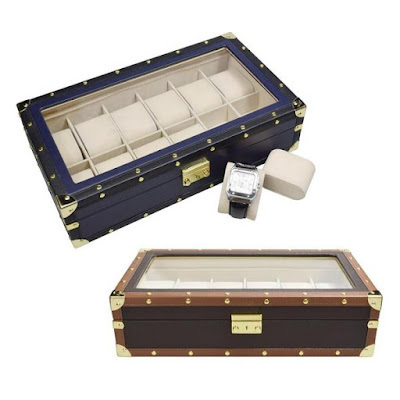 Aside from glasses, you can also use this wooden case to store watches, ties, and even use it as a jewelry display where you can keep your bracelets and rings. Men who have home offices would love this Wooden Desktop Organizer. It’s made of wood and boasts a natural wooden finish. 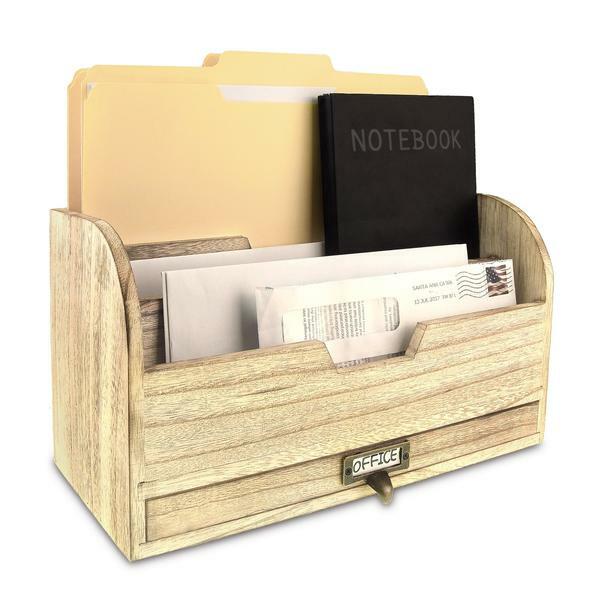 It features three compartments that can hold file folders, letters, bills, and other documents. The slide-out bottom drawer can hold pens, cards, notes, scissors, and even keys. 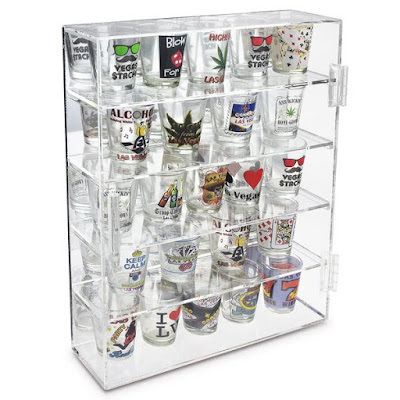 This lightweight organizer has a size dimension of 3"W x 6 1/4"D x 7 "H.
The Mirror Backed 4 Glass Shelves Shot Glasses Display Case displays not just shot glasses, but also other collectibles like action figures. It features a mirror at the back that enhances the look of the items inside, four adjustable shelves, and a magnet-secured door. It’s also made of high-quality crystal clear acrylic. This space-saving case can also be mounted on the wall with a screw. Need to see more holiday gift ideas? Head on to NileCorp.com where we offer a vast array of products, from necklace displays to saw sets and other tools!